Buen Retiro is a former royal palace in the east of Madrid, built from 1630 on the site of the Hieronymite monastery; the buildings are mostly no longer extant, and the extensive gardens are now a public park, the Parque del Retiro. Lying at the city’s eastern gate, the monastery had played an important part in the life of the monarchy on such occasions as royal processions, funerals and religious festivals. 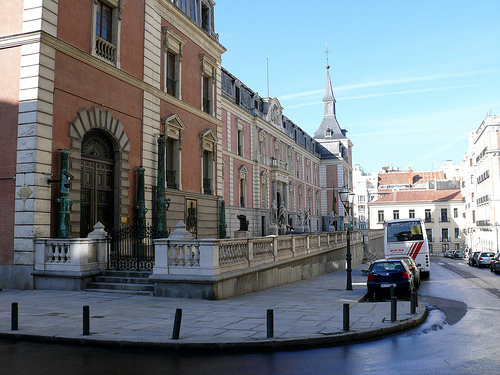 In July 1630 the Conde-Duque de Olivares, First Minister under Philip IV (reg 1621–65), was named Alcalde del Cuarto de S Jerónimo and immediately ordered the building of an extension of the royal apartments towards the south. 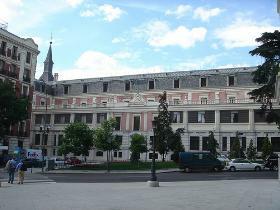 In July 1632 Olivares entrusted the further eastward extension of the apartments to the care of Alonso de Carbonal, Aparejador Mayor (assistant architect-in-chief) of the royal building projects, under the direction of the Italian Giovanni Battista Crescenzi. Thanks to the generous financing of the project, and the plentiful supply of building land, the Plaza de Fiestas was laid out in 1633, enclosed by a three-storey building. 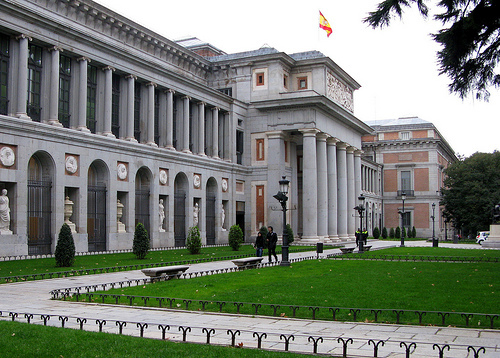 In 1634 a further square was added to the north—larger still, but architecturally very simple—while to the east, towards the gardens, Carbonel built a rectangular ballroom in stone in 1637, known as the Casón de Felipe IV. The Buen Retiro Palace generally reflected its hasty construction and its purely festive function: the design was simple, executed mainly in brick with stone door- and window-frames, with corner towers roofed in slate and balconies of wrought iron, the whole built around the square courtyard. 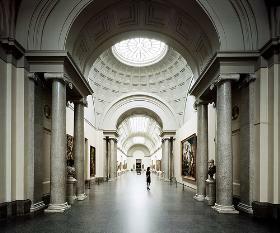 The interior decoration comprised paintings and sculptures from the royal collections, sometimes arranged by subject in different galleries and specifically commissioned for that purpose. 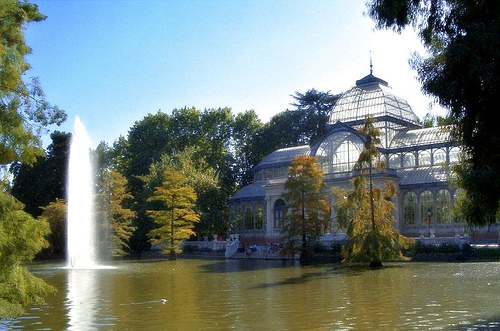 Some of the nine hermitages that were built (1633–40) throughout the park revealed greater architectural inventiveness than the main buildings and a greater concern for their interior decoration, as with the hermitage of S Antonio. The perfunctory construction of the Buen Retiro and the court’s irregular periods of residence led to the rapid deterioration of the buildings in general. 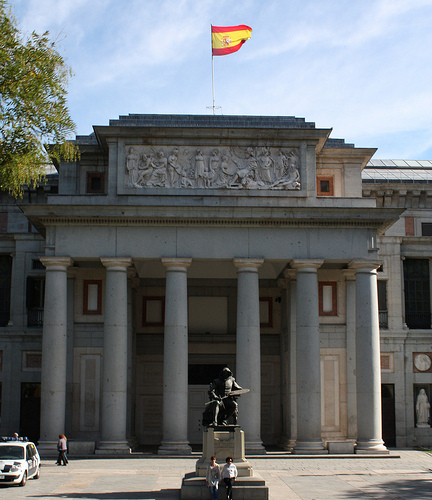 This was partly remedied on occasion by restoration work: the Casón de Felipe IV was restored in 1692, and in 1697 Luca Giordano painted the Foundation of the Order of the Golden Fleece on its vaulted ceiling. 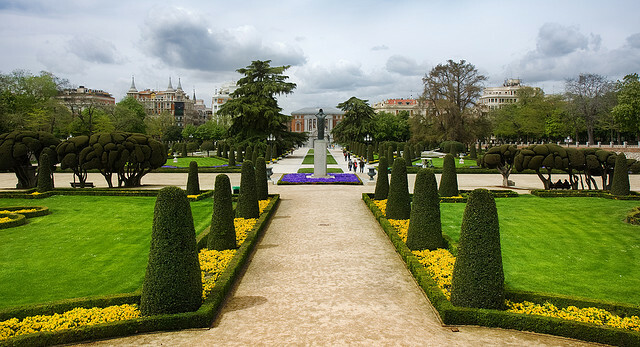 Philip V planned to renovate the palace and lay out the park along the lines of Versailles or Marly, but the plan was abandoned; thus while the new Palacio Real was built (from 1738) on the ruins of the Alcázar, destroyed by fire in 1734, the sovereigns had to do with a somewhat inferior residence. 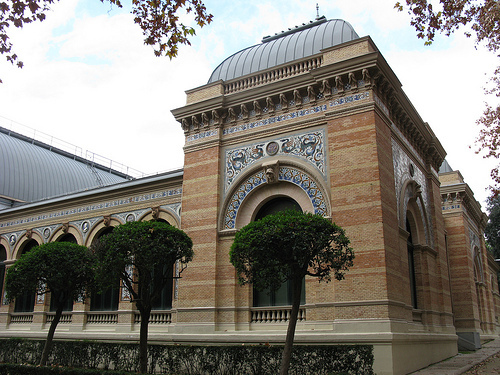 Alternative uses for the site were found in 1759, when Charles III established the Fábrica del Buen Retiro there to manufacture porcelain, and also set up the Laboratorio de Piedras y Mosaico specializing in the working of hardstones. Occupation of the palace by Napoleonic troops in 1808, however, merely served to accelerate a general collapse into ruins that were in fact well under way. 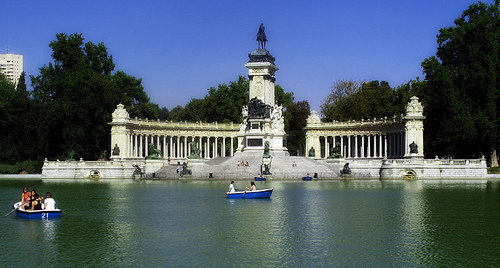 The west side of the Buen Retiro Palace was later built over, the rest of the complex becoming municipal property and the gardens being converted into the public Parque del Retiro, to which such buildings as the Velázquez Pavilion were added. 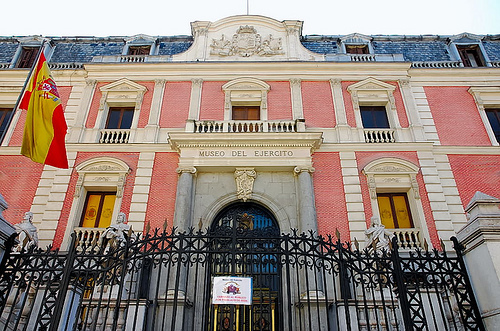 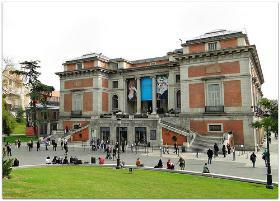 The remaining two buildings, the Salón de Reinos and the Casón de Felipe IV, became, respectively, the Museo del Ejército and an extension of the Museo del Prado. Address: Buen Retiro Park, Calle de Alfonso XII, 14, 28014 Madrid, Spain.